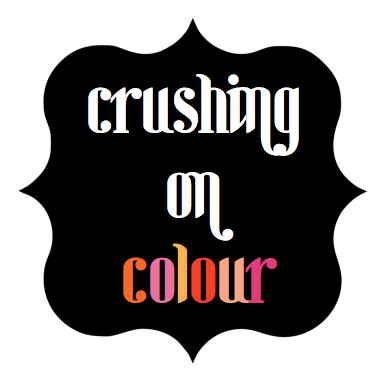 Let's start off this melange of blogger talent with a Crushing on Colour post from Holly of HVH Interiors. Holly is an Interior Designer and her blog is full of interesting finds and a very warm, modern aesthetic. I especially love the Moodboard Mondays! Hello 10 Rooms readers! 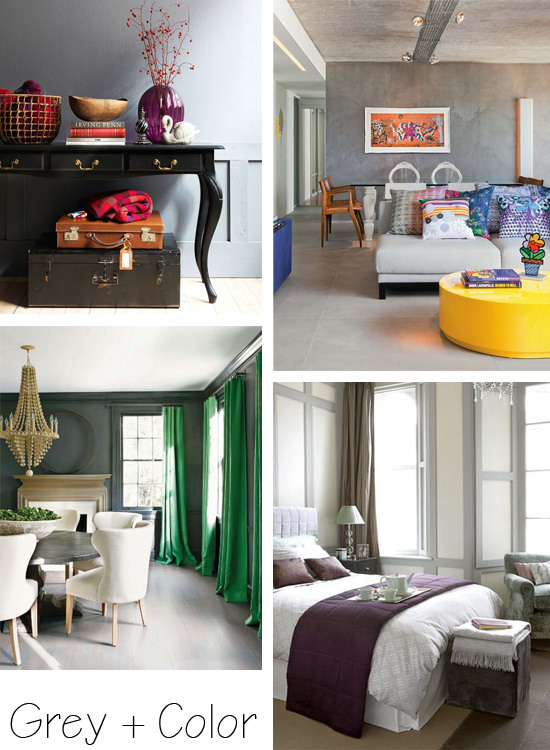 I'm Holly, an interior design consultant and blogger over at HvH Interiors. 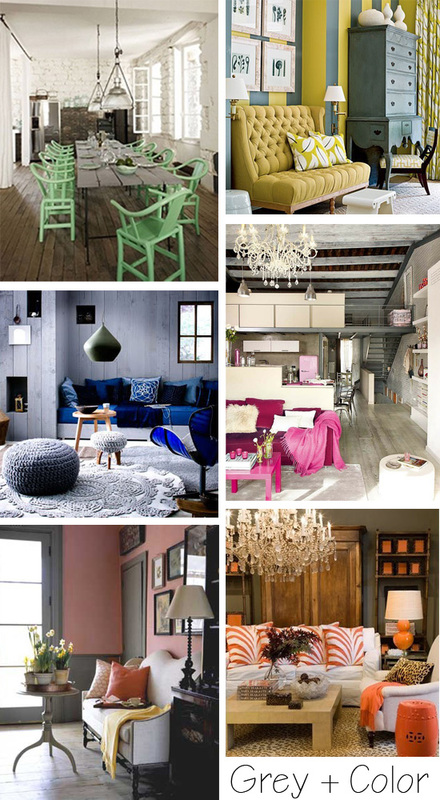 It is such a great pleasure to meet you all here to talk about one of my favourite topics - color. What better place to do that than the "Crushing on Color" guest blog series?! Thank you so much to Anne-Marie for having me. So let's jump right in, shall we? 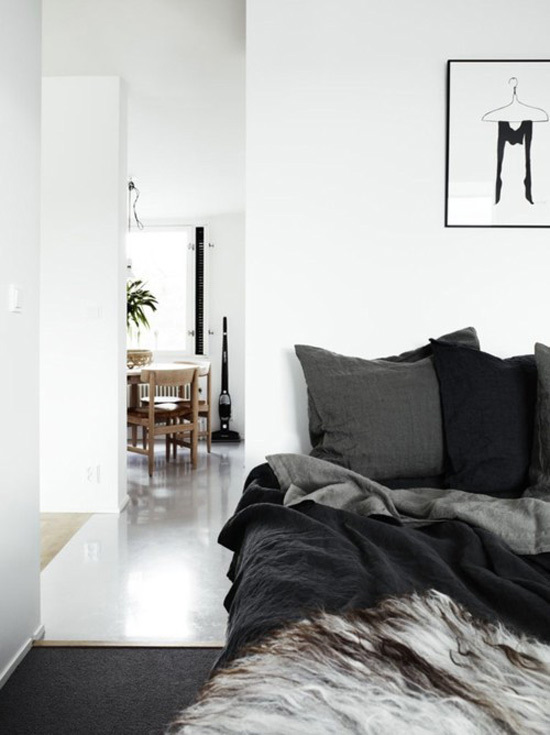 These days, when it comes to interior design, I have a serious crush on GREY. Grey is often overlooked as a color because it is an achromatic or neutral colour. Yet, it has so much potential. It's my silent hero. Admittedly, grey does have a bit of a bad rap. It is often associated with notions like dullness, bad weather, old age, boredom, and conformity. But this last 'flaw' is what makes grey so great in my eyes. It conforms - blends, adapts, and supports - it can be so many things and it's all up to you to decide. To understand the versatility of grey, one must realize that there are endless varieties of it, just like with other colours. Grey can be just as cool as it can be warm and therefore it can be easily and appropriately adapted to any interior colour scheme. 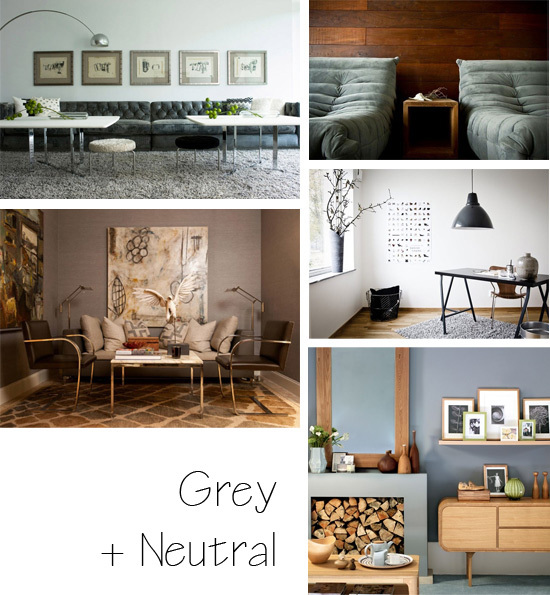 My favourite interior scheme at the moment is Grey paired with other neutrals, such as white, black and brown. I find it very calming and grounding. 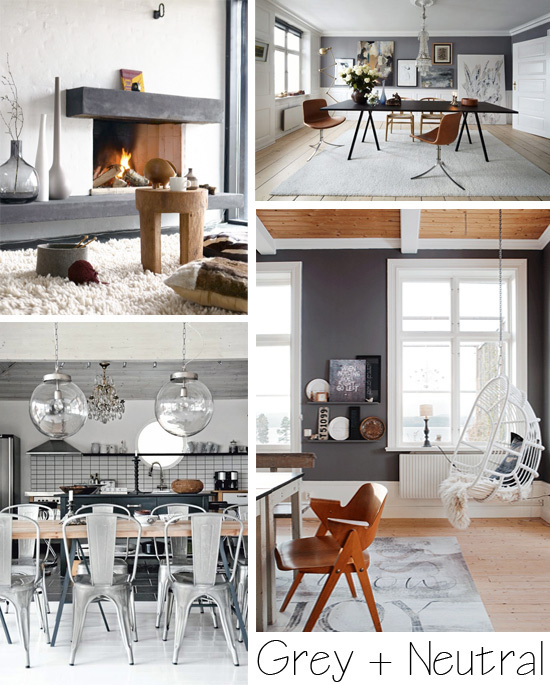 Metallic Greys can add a bit of glamor or industrial flair. Grey paired with wood can often results in this cozy, rustic feeling. 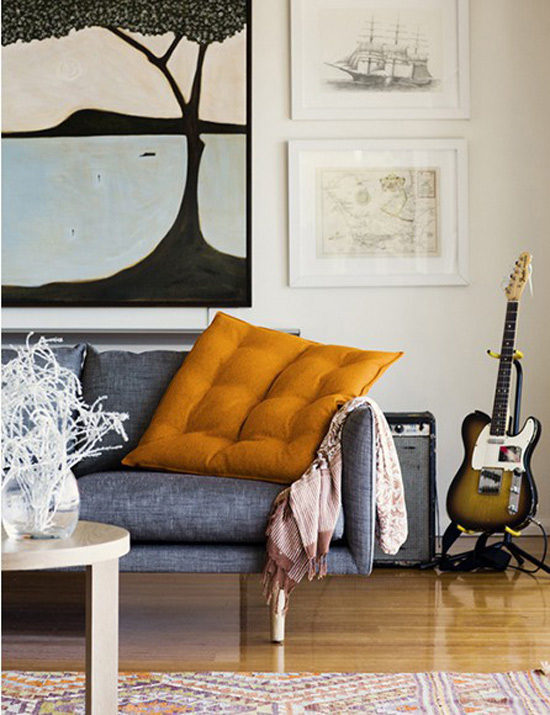 If Grey paired with neutrals is too subdued for your taste, look what happens when Grey gets paired with colour. Whether we're talking big colour or just hints and accents, Grey allows the colours to pop and shine via simultaneous contrast.